Not many trimmers and shavers have been manufactured with an aim to reach difficult edges on your facial area. One of the most challenging tasks is to use it for trimming your beard and moustache. Panasonic ER-GB40-S 19 is one of the best devices for performing this task as it is cordless and provided with a heavy duty rechargeable battery. Another benefit is that the trimmer is a dry/wet type so can be rinsed under water or used even when you are using cream. With nineteen distinct shaving and trimming setting it is certain that you can experience and experiment something new everyday. So it is certain that with this product your grooming can be an easy task even when trimming difficult edges. The design is a well blend of silvery grey and blue shade. 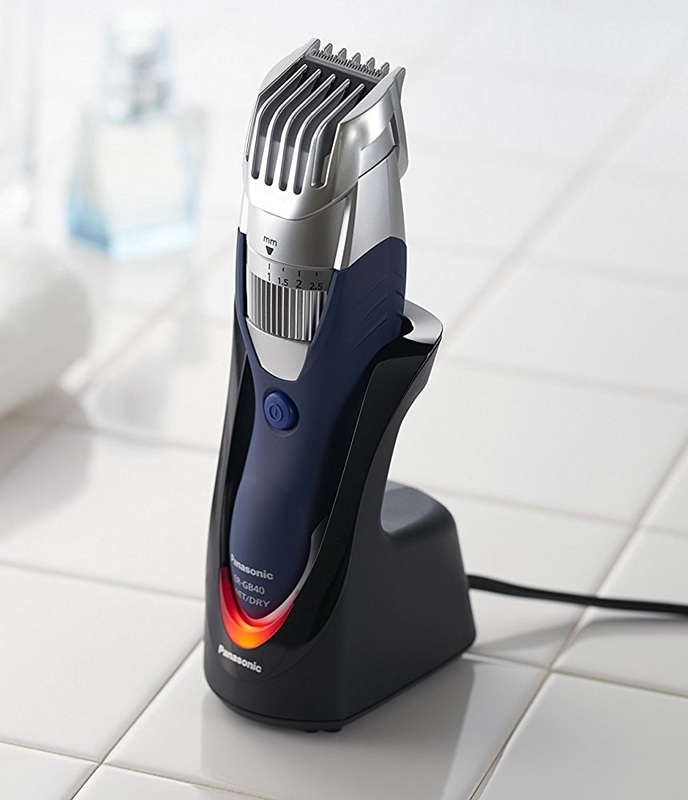 The handle is provided with an easy to grip attachment such that holding the trimmer is very easy for you. The grip is casted out of special friction resistant rubber material, such that it can also be used with wet hands. If you want to use for long hours you can use it without the cord attached. The process of setting for nineteen different shaving lengths is also very much simplified with simple adjustment switch. The rubber grip provided on the handle also works as a shock absorbent when dropped accidentally. The blades are crafted from special quality stainless steel non corrosive material that is long lasting with hardened shaving edges. so attached at an angle of 45 degrees from the handle base. So if you want to trim your side burns or your beard then this is the best adjustment for blades. In a single stroke you get to experience clean and quick cuts. The blades are best for dealing with unruly hair or dense hair texture. Another added feature is that the trimmer is offered with unique water proof shutters such that you can easily use it under the shower and is maintenance free. Being completely washable type you can always expect better hygiene factor even if used by your friends or relatives. An opening provided allows users to open and clean the trimmer easily under running water. The water drainer always ensures that excess water is simply drained off after each wash. Being water resistant you can also use the shaver and trimmer with shaving cream, gel or lotions. One thing you need to keep in mind is that when used with gels, lotions or creams you have to ensure that you clean it well after use. Even if you don’t use gels and creams still you will find that trimmer offers with clean and gentle shave experience. As it is equipped with a pair of rechargeable battery so you can always ensure that it can be your best travel mate. The blades can be set for nineteen different settings that depend on the length of hair you want to leave when trimming your beard. The settings may vary from 1 to 10 on the millimeter scale. Each time you need a new length you can increase it or decrease it by 0.5 mm length. With such adjustment it is possible for you to get much closer to your facial skin when shaving. As it can be used with rechargeable batteries so it is certain that you just don’t have to invest big money in purchasing durable cells every time. The shaver and trimmers is also light weight around 13ounces with a very sleek dimension for better grip. The body is also provided with a smart charging LED illuminating indicator. • Light weight and easy to handle and maintain. • Perfect gripping handle to fit any palm size. • Quality rechargeable battery that can work for long hours in a single charge. • Special cordless features makes usability factor more excellent. • As the trimmer is wet and dry type so it is certain that it needs extra maintenance. • It is not equipped with charging status indicator so you may not know the charging status. Purchasing multiple shavers and trimmers certainly can be annoying for anyone as they will have to invest more money. This is one of the reasons why Panasonic ER-GB40-S is considered as best option. It offers with multiple functionalities for an affordable price. 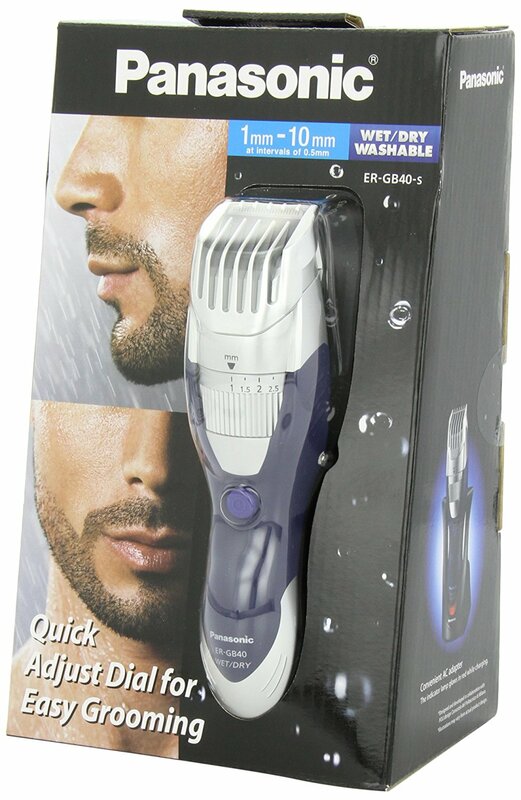 So if you are looking around for flawless shave then this is also one of the best options available. One main benefit is the usability factor as you can make use of this trimmer even on difficult edges. It is better known for offering clean and flawless shave on any type of hair texture. Mangroomer Ultimate Pro Back Series With Dual Shock Absorbers And Much More!